Ready to use: No dilution required. simply use bubble juice straight out of the bucket. The Giant Bubble Childcare Provider Kit is perfect for hours of outdoor fun. It’s easy to dip and blow giant bubbles with the right size pole length to loop size ratio. Use the Windy Day Wand on breezy – windy days. Giant Bubble Childcare Provider Kit for creating exciting, massive, multi-coloured bubbles for the kids. The Giant Bubble Childcare Provider Kit is perfect for entertaining little ones and getting them super excited. The Intermediate Wand is the best for creating jaw-dropping giant bubbles that kids can’t get enough of. If the weather is too windy for the Intermediate Wand, we have included the Windy Day Wand so that you are never left without the opportunity to create joy for the kids. The Windy Day Wand creates 100’s of big-little bubbles and the kids absolutely love chasing these! You can create giant bubbles anywhere, just make sure you have some open space so you can watch them float a long way. Involve yourself and the children in the most magical fun you’ll ever have and create giant bubbles. Giant Bubbles is a family run business based in Te Awanga, Hawkes Bay. We started after discovering the magic of giant bubbles in December of 2017. Since then our (then) 3y/o (now 4), began to master the creation of these amazing bubbles. 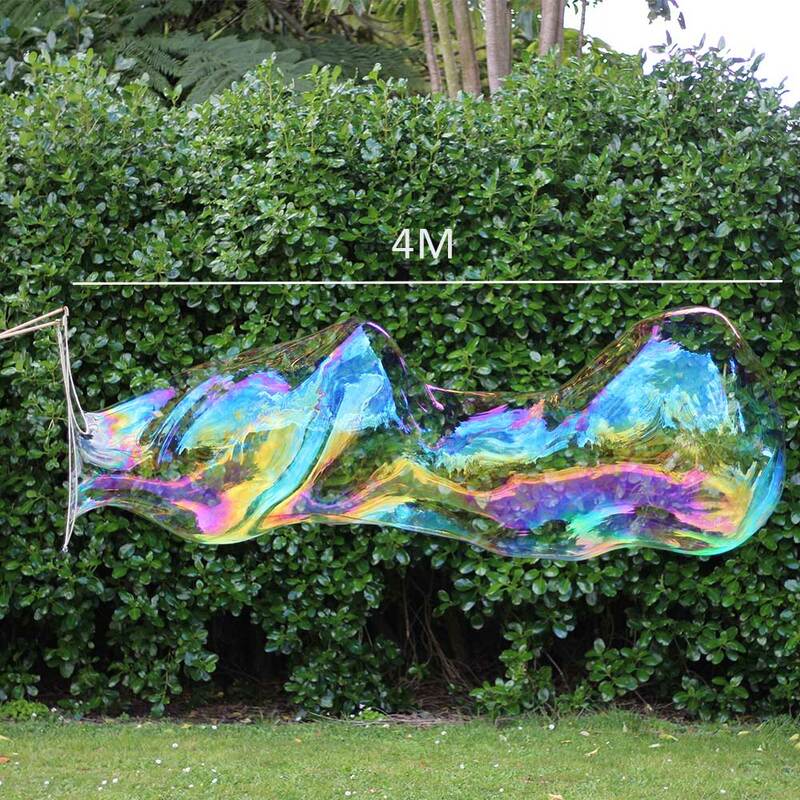 Children and adults would stop and stare in amazement as we created bubble after bubble, some the size of large cars and watch them float for miles over the ocean before disappearing into the horizon without popping. When people started asking how we made the bubbles and then asked if we could make bubble juice for them, we decided to start Giant Bubbles. We, most of all, love making bubbles and sharing the joy for others to make giant bubbles too.